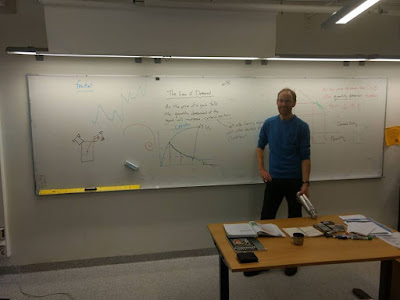 For the first time in 2 years I taught my beloved demand theory and drew the demand curve; the first time since I've written my fractal theory 'of everything' ;) . In the last 5- 10 minutes of the class I showed part of what I have discovered: a window into, and link between 'reality' and quantum world through a geometry. Funny thing is, they said they got it. Is there a way that we can see the class notes for this? Seems interesting.